Spammers are quite annoying to deal with for webmasters. These folks not only fail to contribute to the sites they target, they can make life difficult for people involved in those communities. 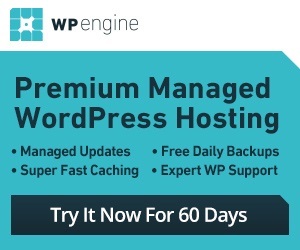 Thanks to plugins such as Bad Behavior, WordPress webmasters can keep spammers at bay and even completely block them out from accessing their websites. Expecting spammers to add any value to your site is just unreasonable. Most of these folks are into injecting their useless links and sometimes harmful scripts to your site. Bad Behavior can act as your first defense (not the last one) against these folks. 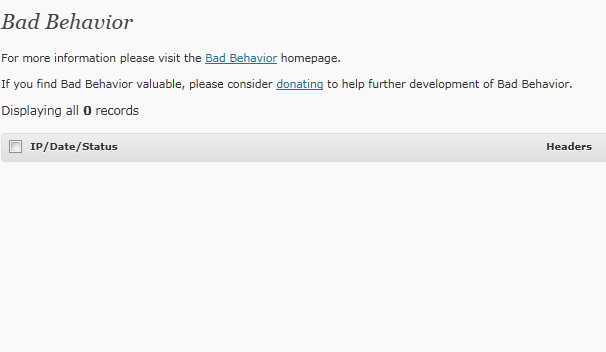 Bad Behavior analyzes the delivery method and the software used by spammers to figure out who needs to be banned. This approach enables you to keep spammers at bay even when they are using fairly new tactics to attack your website. In that sense, Bad Behavior is a great complementary tool to standard anti-spam and hack-prevention plugins. In most cases, you won’t have to do much to get this plugin to work. You can view the IPs blocked on this plugin’s options page. This plugin could break some of your existing plugins, so make sure you test your other plugins with Bad Behavior installed. Overall, it is a useful tool to keep your server load low and your site protected against annoying spam attacks.